When you have access to information, the possibilities are endless. With Western Digital, we can help accelerate the flow of your data, so both your data and your business can thrive. The myWD Partner Program is created for VARs, system integrators, solution providers and managed service providers who sell storage drives, NAS and Surveillance solutions. The program offers a comprehensive line up of benefits including direct incentives, exciting member-only promotions and exclusive access to a rich set of marketing tools. The G-Technology Partner Program provides you authorization to sell G-Technology’s high-performing and reliable, leading-edge storage solutions for end-to-end creative workflows. The range of benefits is substantial and has been designed to give our partners support to help them build their businesses. Receive marketing and sales support as well as assistance to close deals. Our Partner's First Portal gives you fast access to a wide range of invaluable tools and resources which will save you time, and help you to be more successful. The Technology Alliance Program is designed to empower partners to build and market compelling solutions with our storage devices, platforms, and systems. CHOOSE YOUR COUNTRY/AREA Field cannot be empty. Broadcom Inc. is a diversified global semiconductor leader built on 50 years of innovation, collaboration and engineering excellence. With roots based in the rich technical heritage of technology powerhouses AT&T/Bell Labs, Lucent and Hewlett-Packard/Agilent, Broadcom focuses on technologies that connect our world. With the addition of industry leaders LSI, Avago Technologies, Broadcom Corporation, and Brocade, the company has the size, scope and engineering talent to continue leading the industry into the future. Western Digital is part of Intel Storage Builders. Innovations from Western Digital and Intel push the boundaries of next generation storage performance. Western Digital also participates in the interoperablity testing that feeds our products into the Intel Server Configurator Tool. Komprise radically simplifies data management, providing visibility across storage space and intelligent, policy-based automation without the cost, complexity, lock-in and invasiveness of legacy solutions. Enterprises across industries use Komprise to cut NAS costs, manage data growth, and extend to the cloud. Microsemi Corporation, a wholly owned subsidiary of Microchip Technology Inc., offers a comprehensive portfolio of semiconductor and system solutions for communications, defense & security, aerospace and industrial markets. Products include high-performance and radiation-hardened analog mixed-signal integrated circuits, FPGAs, SoCs and ASICs; power management products; timing and synchronization devices and precise time solutions, setting the world's standard for time; voice processing devices; RF solutions; discrete components; enterprise storage and communication solutions, security technologies and scalable anti-tamper products; Ethernet solutions; Power-over-Ethernet ICs and midspans; as well as custom design capabilities and services. Microsemi is headquartered in Aliso Viejo, California. Western Digital is a Microsoft co-engineering partner, collaborating to ensure Microsoft and Western Digital products work together optimally. Our product portfolios scale together and are found together in millions of homes and businesses: hard disk drive (HDD) and solid state drive (SSD) storage products for consumer products like Windows 10 notebooks and Xbox; enterprise HDD, SSD, all-flash and hybrid arrays used with Windows Server, Hyper-V, Storage Spaces Direct systems, Exchange and SharePoint; the storage used most often in recent record-setting TPC-H and SQL Server Data Warehouse Reference Architecture systems; in Microsoft Azure Stack systems offered by our OEM partners; and drive enclosures and storage server systems used by resellers and system integrators. Quantum is a leading expert in scale-out tiered storage, archive and data protection. The company’s StorNext software and Xcellis storage systems power high-performance workflows and provide advanced data management, enabling users to maximize the value of their digital assets. Western Digital is a Red Hat Connect Technology Partner collaborating to create innovative open-source solutions. Red Hat is a leading provider of open source software solutions, using a community-powered approach to provide reliable and high-performing cloud, Linux, middleware, storage and virtualization technologies. Together, our companies are advancing the storage market by offering private and hybrid cloud solutions around container-native storage and deploying workloads across both HDD and SSD technologies. Western Digital is an Advanced VMware Technology Alliance Partner (TAP) as well as being a part of VMware’s SDDC (Software-Defined Data Center) and EUC (End User Computing) Programs. Our products for VMware solutions are optimized for compute, storage and desktop virtualization and help customers efficiently scale their infrastructure without the cost and complexity of traditional storage. Our integration with VMware provides superior value to customers using VMware® vSphere™ for server virtualization, VMware View™ for desktop virtualization, vSAN for Software-Defined Storage and VMware Cloud solutions. For more than 45 years AMD has driven innovation in high-performance computing, graphics and visualization technologies the building blocks for gaming, immersive platforms and the datacenter. Hundreds of millions of consumers, leading Fortune 500 businesses and cutting-edge scientific research facilities around the world rely on AMD technology daily to improve how they live, work and play. ArcaStream delivers software defined scale-out storage and data management solutions designed to meet the specific needs of research and simulation users across the life science, education, research and oil & gas sectors. Areca Technology Corporation designs and manufactures storage products for virtually all areas of the storage market including DAS, NAS, and SAN. All PCI, SCSI, and Fiber Disk Array Controllers support RAID levels 0, 1, 3, 5, 6, 10 or JBOD. It also produces its own custom ASIC, a high-speed IDE controller, and a RAID 6 engine on their controllers to achieve high data throughput and availability. Areca has completely committed its highly skilled research and development effort to disk array technologies that yield the fastest performance, best reliability, and lower cost points than competitive disk array solutions. ASG Technologies provides proven solutions for information access, management and control. ASG Technologies enables greater insight to drive intelligent decisions from legacy to leading-edge environments. ATTO Technology, Inc., has been a global leader across the IT and media & entertainment markets, specializing in storage and network connectivity and infrastructure solutions for the most data-intensive computing environments. ATTO works with partners to deliver end-to-end solutions to better store, manage and deliver data. Working as an extension of customer’s design teams, ATTO manufactures host and RAID adapters, network adapters, storage controllers, Thunderbolt enabled adapters and software. ATTO solutions provide a high level of connectivity to all storage interfaces, including Fibre Channel, SAS, SATA, iSCSI, 40/10GbE, NVMe and Thunderbolt. ATTO is the Power Behind the Storage. Avere gives organizations the ability to put an end to the rising cost and complexity of data storage, the freedom to store files anywhere – in the cloud or on premises – all without sacrificing the performance, availability or security of their data. AWS Elemental, an Amazon Web Services company, empowers media companies to deliver premium video experiences to consumers. The company pioneered the use of software-based video processing to distribute and monetize video over the internet. Chenbro is a pioneer in designing and manufacturing of mechanical solutions for rackmount systems, tower servers, and personal computers. With its expertise and reputation, Chenbro is also qualified by first tier server brands to provide OEM, ODM and JDM services with EMS companies and has successfully extended business footprints toward datacenter and industrial solutions. Cisco and Western Digital jointly develop IntelliStack integrated infrastructure solutions that allow customers to speed deployment and responsiveness to suit their business needs, scale infrastructure components independently and simplify overall management and support. Combining market-leading Citrix desktop virtualization solutions with Western Digital systems enables businesses to transform Windows® desktops, apps, and data into a cloud-like service that is accessible on any device, anywhere. Virtual Desktop Infrastructure allows customers to streamline management and costs by consolidating and centralizing desktops while delivering mobility and freedom to end users. Online cloud backup and storage management solutions for public, private and hybrid cloud designed for SMBs and MSPs. Cloudera is hands-down the fastest, most secure and easiest big data software available. From data science and engineering, to powering an operational database, to running large-scale analytics, you get it all within this single, easy-to-use product. CloudLanes’ Cloud Storage Gateway allows you to rapidly and securely ingest your backup, video surveillance or healthcare data from on premises and move it to any cloud in a fast, secure, and auditable manner for backup or archival needs. CloudLanes‘ Cloud Storage Gateway acts like a cloud converged storage platform enabling you to cache and store your data on premise optionally for a few days before moving it to the cloud for long term retention and guardianship. Together, Western Digital and Cohesity deliver the best of both worlds: flash-based performance for all your applications and flash-driven consolidation of your secondary storage needs, including data protection with instant recovery and an agile method for repurposing data for test/dev and file services. Commvault is a leading provider of data protection and information management solutions, helping companies worldwide activate their data to drive more value and business insight and to transform modern data environments. Couchbase is a Systems of Engagement database for Web, Mobile and IoT Experiences. Couchbase and Tegile combine to deliver superior scale for Operational Applications. CTERA enables enterprises to securely sync, share, protect and govern files from any device, server or remote office, all from the private or virtual private cloud of their choice. Trusted by the Fortune 100 and leading service providers, CTERA enables the IT-as-a-Service transformation. CyanGate designs, delivers, and implements award-winning Digital Asset Management (DAM) solutions. Customers include global Fortune 500 companies in diverse industries such as Retail, Publishing, Media and Broadcasting. DataCore and Western Digital are committed to delivering data center storage solutions that provide breakthrough economics rivaling public cloud offerings. DataCore has created the lowest-latency storage engine for both hyper-converged and conventional storage applications. Optimized for virtualization, cloud, application clusters and general SAN replacement, DataCore Parallel-IO technology fully leverages Western Digital SSDs for massive performance gains in business and mission-critical environments. DataFrameworks transforms petabyte-scale file access and retrieval for media, visual effects and entertainment companies. Its ClarityNow software is purpose-built to deliver advanced workflow efficiencies for all stakeholders. E8 Storage’s shared accelerated NVMe storage solution makes applications go 10x faster, so enterprises can stay ahead of data-hungry applications that demand high performance and low latency to drive business revenue. Elastifile’s cross-cloud data fabric delivers seamless storage and data management across on-premises, hybrid cloud, and multi-cloud environments. Powered by an elastically scalable, flash-native, distributed file system, Elastifile enhances a broad range of data-driven workflows, including HPC, DevOps, and many more. s3fs is a FUSE filesystem that allows you to mount an Amazon S3 bucket as a local filesystem. It stores files natively and transparently in S3. Globus is the de facto standard system for research data management, used by thousands of researchers around the world. Globus provides a single, reliable tool to easily move, share, and publish data. Hammerspace intelligently automates the flow of data to ensure the right data is in the right place at the right time across enterprise infrastructure. Integration with the ActiveScale object storage maximizes storage investments by increasing utilization and lowering the TCO of the entire storage infrastructure. HighPoint has a successful track record of delivering RAID Storage and Connectivity solutions to fortune 500 companies, global storage providers and value-add integration specialists. HighPoint is a RAID and Storage technology expert, and provides a wide range of engineering and software development services, including full Turnkey ODM/OEM solutions for electronics and mechanical end product. Are you struggling to improve data management in your HPC Linux® storage environment? The HPE Data Management Framework optimizes data accessibility and storage resources by enabling a hierarchical, tiered storage management architecture. Data is allocated to tiers based on service level and speed requirements defined by the administrator. Move big data and digital content globally at high speed with IBM Aspera. Deliver large, business-critical files and data sets virtually anywhere with breakthrough transfer speed, reliability and scale. IBM Spectrum Scale offers advanced storage management of unstructured data for cloud, big data, analytics, objects and more. It's a high-performance solution for managing data at scale with the ability to perform archive and analytics in place. InfiniteIO has built a game-changing new solution to automatically control and manage the massive growth of inactive data that consumes the majority of most IT storage budgets. The Integrated Rule-Oriented Data System (iRODS) is an open-source data management software used by industry, research organizations, and government agencies worldwide. The iRODS Consortium provides testing and support services on supported platforms. Marvell first revolutionized the digital storage industry by moving information at speeds never thought possible. Today, that same breakthrough innovation remains at the heart of the company’s storage, network infrastructure, and wireless connectivity solutions. With leading intellectual property and deep system-level knowledge, Marvell's semiconductor solutions continue to transform the enterprise, cloud, automotive, industrial, and consumer markets. By offering the best of traditional databases as well as the flexibility, scale, and performance required by today’s applications, MongoDB lets innovators deploy apps as big as they can possibly dream. From startups to enterprises, for the modern and the mission-critical, MongoDB is the database for giant ideas. MongoDB, Inc. is the company behind the database for giant ideas. We build MongoDB and the drivers, and sell software and services to make your life easier. We also run MongoDB University and sponsor the community, hosting MongoDB World and MongoDB Days all over the globe. With offices across North America, Europe, and Asia, we are close to where you do business. Nasuni enables organizations to store, protect, synchronize and collaborate on files across all locations at scale. NetApp® AltaVault® cloud-integrated storage enables customers to securely backup data to any cloud at up to 90% lower cost compared with on-premises solutions. AltaVault gives customers the power to tap into cloud economics while preserving investments in existing backup infrastructure and meeting backup and recovery service levels. Nexenta delivers software-based storage solutions built on NexentaStor software and Western Digital storage platforms, providing organizations a low-cost high-performance unified block and file services solution. Open-E, founded in 1998, is a well-established developer of IP-based storage management software. Its flagship product Open-E JovianDSS is a robust, award-winning storage application which offers excellent compatibility with industry standards, and is among the easiest to use and manage. Additionally, it is one of the most stable solutions on the market and a recognized price performance leader. Western Digital Storage solutions for Oracle Database, Oracle Linux, Oracle VM help customers improve performance and enhance their data protection and availability. 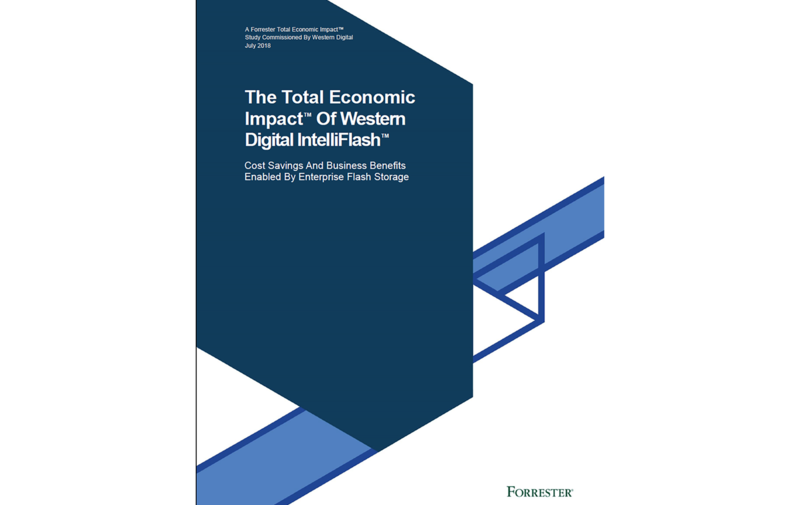 Western Digital Storage’s non-disruptive and efficient scale-to-fit and cloning/replication capabilities can match the needs of growing Oracle environments, with ease. Our joint customers can deploy applications to production quickly and efficiently, enabling a true Database-as-a-service experience. Oracle and Western Digital’s combined datacenter solutions save the Oracle DBA and Storage Administrator precious time and budget. Panzura Freedom NAS and Mobile. Software-defined, cloud-scale enterprise file services for NFS, SMB, and Object with integrated enterprise file sync and share. Enterprises can now consolidate data islands into a single source of truth in the cloud without sacrificing performance or rewriting applications. QStar’s flexible Active Archive software is designed to optimize storage resources for the needs of a digital archive. 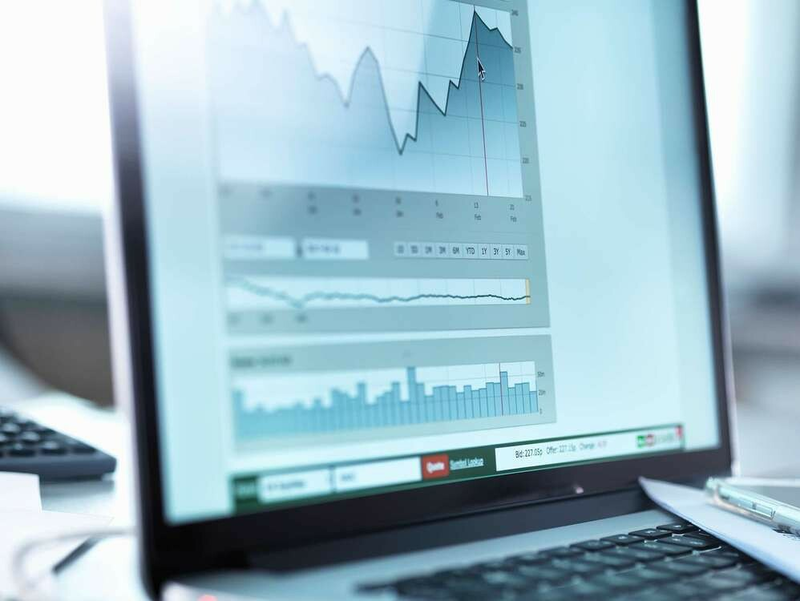 QStar solutions help companies maintain cost-effective long-term data access using a proven strategy that delivers data security and record authenticity. RAIDIX is an innovative solution provider and developer of high-performance storage systems. The company’s strategic value builds on patented erasure coding methods and innovative technology designed by the in-house research lab. Compatible with commodity server hardware, RAIDIX commits to resilient storage with high throughput, robust performance and low latency. Levels Beyond is the company behind the software platform Reach Engine. The platform provides streamlined media-management, distribution, optimization and monetization capabilities, and enables smart, secure and elastic cloud services in-sync with media workflow. Rozo was built from the ground up to optimize availability, performance and reliability by leveraging an ultra fast patented data protection algorithm. With Rozo, you will get the best from your hardware without blowing up your budget. That makes Rozo ideal to address the most challenging workloads. Western Digital and Rubrik streamline and simplify the entire storage stack, delivering dramatic storage TCO reductions and satisfying increasingly aggressive SLAs. New data access expectations are pushing the envelope for rapid recoveries with more frequent recovery points and much shorter RTOs. The combination of Rubrik and Western Digital gives customers more snapshot options to best meet their needs. Similarly, the combination of Rubrik and Western Digital gives customers replication options that span bare-metal servers, VMs and cloud storage. ScaleMP is the leader in virtualization for high-end computing, providing increased performance and total cost of ownership reduction. The innovative Versatile SMP™ architecture provides software-defined computing and software-defined memory by aggregating multiple independent systems or high-performance Western Digital SSDs into single virtual systems. Using software to replace custom hardware and components, ScaleMP offers a new, revolutionary scale-up computing paradigm by delivering industry-standard, high-end symmetric multiprocessing compute and memory environments. ScyllaDB is the real-time big data database company. Fully compatible with Apache Cassandra, Scylla embraces a shared-nothing approach that increases throughput and storage capacity to 10X that of Cassandra. AppNexus, Samsung, Olacabs, Grab, Investing.com, Snapfish, Zen.ly, IBM’s Compose and many more leading companies have adopted Scylla to realize order-of-magnitude performance improvements and reduce hardware costs. AUTOMATED AND ACCELERATED FILE MOVEMENT BETWEEN GEOGRAPHICALLY DISPERSED LOCATIONS Exchange content and metadata files with other users, systems and applications regardless of geographic location or file size by automating processes or defining schedules. Manager+Agents delivers fast, reliable and secure movement of files up to 200X faster than FTP and TCP with 95+% network efficiency. Checkpoint Restart ensures that once a file starts moving it will get to its destination, even if interrupted. If a file transfer fails, it automatically restarts the transfer from the point of failure, which is essential when moving multi-gigabyte data sets. SIOS and Western Digital work together to make it easier to optimize and maximize intelligent flash acceleration in VMware environments. Using the recommendations automatically provided by SIOS iQ™ machine learning analytics software, IT managers can optimally deploy Western Digital SSDs to provide cost-effective, sustained performance acceleration in virtual environments. FlashSoft software delivers improved application response time without changing customers’ currently deployed storage systems, and can be more optimally configured for customer-unique environments using the recommendations from SIOS IQ. Splunk Inc. provides the leading platform for Operational Intelligence. More than 20,000 customers use Splunk to search, monitor, analyze and visualize their machine-generated big data. Square Box Systems makes CatDV: an award-winning suite of media asset management tools. For companies that create or manage large volumes of digital media, CatDV helps teams organize, communicate and collaborate. SSIMWAVE is defining the future of video delivery with Viewer IntelligenceTM. For the first time in history, video distributors, networks, and studios can take full advantage of digital optimization to deliver The Ultimate Viewing ExperienceTM to subscribers on any screen, anywhere. StarWind VTL helps businesses to eliminate their costly tape backup processes while meeting regulatory data archival and retention requirements using on-premises Virtual Tape Libraries with cloud and object storage tier. Protect your backup data from ransomware by keeping it on ransomware-resilient virtual tapes. Replicate and tier your backups to AWS, Azure, or any other public cloud to maximize storage cost-efficiency and security. Finally, use any industry-standard object storage array for flexibly scaling the local storage. DNAevolution archiving is the only solution that uses an open format to store all metadata and data ensuring completely open and future access to your content so you can repurpose and monetize content faster. Start small and easily expand to Petabyte-scale storage environments with DNAevolution’s clustered architecture. Unlimited scalability, with no limits on storage or object counts, is powered by DNAevolution’s noSQL database. Seamlessly add data movers for improved archive performance, with a central interface for a single point of management. Stratoscale is partners with Western Digital to radically transform how private and public clouds are built in today's existing data centers. By redefining how infrastructure is architected, deployed, managed, and consumed, the two companies are helping customers overcome the complexities and costs typically associated with OpenStack-based cloud projects. With Western Digital's expertise in flash storage technology, Stratoscale has optimized its Symphony software solution for cloud and virtualization environments running on servers with Westen Digital SSD and flash products. StrongLink is designed to make it easy to globally manage all files across otherwise incompatible storage silos. StrongLink’s metadata-driven Autonomous Engine gives organizations global visibility and control of their files across all storage resources. StrongLink Data Insights deliver visibility with real-time analytics and reporting. UniDesk enables the movement of Microsoft Windows® desktops to the cloud. UniDesk’s patented desktop layering software helps IT organizations to deliver applications, manage images, and sustain user customizations for virtualized Microsoft Windows Desktops. Western Digital and UniDesk have teamed to provide simple and efficient VDI. Western Digital and Veeam backup and replication software create an ideal data protection solution for all types of customer environments by combining our Hybrid or All Flash storage with Veeam’s Modern Data Protection. With Veeam and Western Digital, customers can be confident that their applications are protected even in virtualized environments. Veritas Technologies enables organizations to harness the power of their information with information management solutions. Veritas works with organizations of all sizes, including 86% of global Fortune 500 companies, improving data availability and revealing insights to drive competitive advantage. Versity is archiving focused. Versity Storage Manager is a large-scale enterprise archiving system that runs on Linux, offering comprehensive data management for tiered storage environments and the ability to preserve and protect your data. Vizrt is a worldwide market leader in the areas of real-time 3D graphics, studio automation, sports analysis and asset management tools for the media and entertainment industry. WANdisco Fusion gives you LiveData - consistent data everywhere, spanning platforms and locations, even for changing data at petabyte scale. Business critical data is guaranteed consistent, always available, and accessible from anywhere. WekaIO’s hardware-independent storage system offers a radically simple way to provision file storage in the data center. Its software platform delivers extremely high bandwidth and IOPS performance on flash based storage infrastructure--hyperscale or appliance. WiZR is disrupting the video surveillance and analytics market utilizing industry-leading AI with over 20 patents pending and IoT integration in a highly innovative and scalable platform. Together, Western Digital and Zerto offer the best of both worlds: fast, efficient storage built for demanding performance yet fully replicated and protected. The Western Digital and Zerto Virtual Replication combination tackle the IT manager’s toughest issues for business continuity for virtual environments, including disaster recovery from the cloud. AxxonSoft, founded in 2003, is a leading developer of smart integrated security and video surveillance systems. The company's portfolio for the Safety & Security market boasts over 150,000 projects with 2.5 million cameras installed. AxxonSoft has more than 5,800 certified partners in 100+ countries, which perform over 1,500 installations every month. With 46 offices around the world and an international support call center, the company provides its partners with fast response times and exceptional support in every corner of the globe. Test your applications on ActiveScale object storage system. Download the free software kit and see how it works for you.